It was a very busy month for me in January. I hosted an informal chakai, a hango chaji, helped at a student chakai, and was part of the group hosting the Hatsu chakai for the larger Tankokai group. I also attended a student chaji, had 3 presentations of Chado and led a listening to incense workshop. Through all the preparations for each event, I am thinking about the experience of the guest. 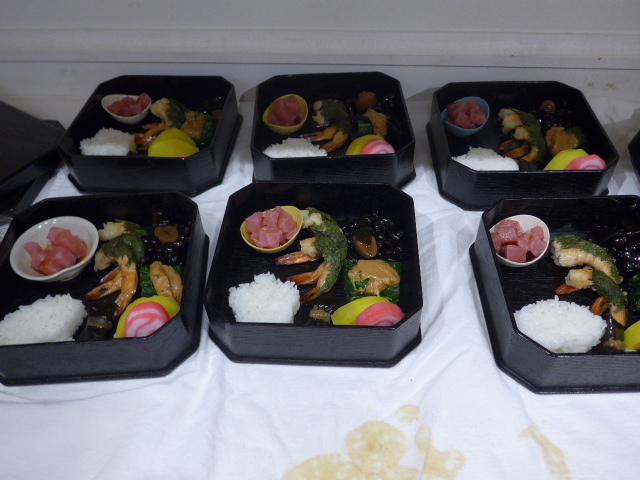 Preparation for a chakai is more than picking the toriawase (utensils used in the procedure). 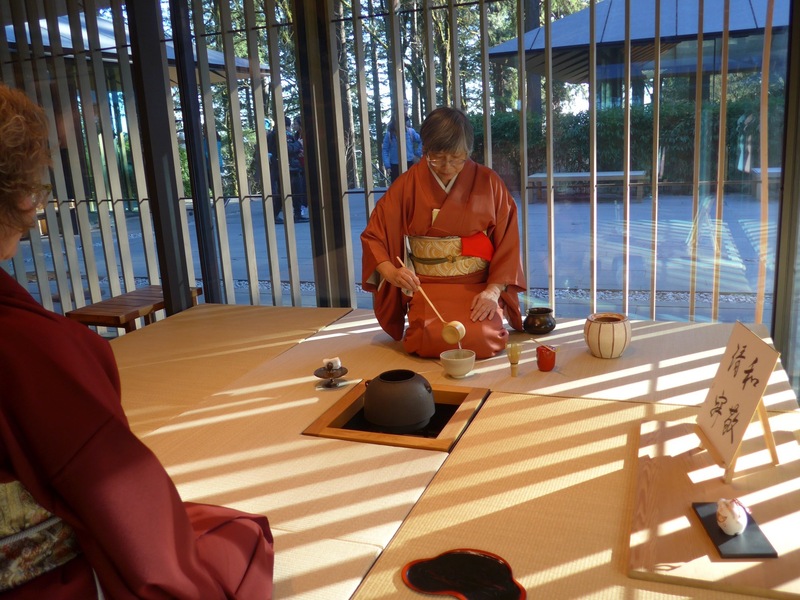 I also think about how the guests will approach the tea space, the order of the guests, who knows more and who knows less about etiquitte, and the sensory perceptions the guests will have as they move through the event. If the guests have difficulty sitting, have I provided for that? I will often visualize myself as a guest and think about what they will perceive and pay attention to in the course of the chaji, chakai or presentation. By putting myself in the guests’ place, it gives me empathy for what they may experience and as a host, pay attention to areas or times to be aware of the guests’ feelings and moods. Of course, I cannot predict what will happen with the guests, especially when doing presentations as I do not know who will attend. In that case, I remind myself to be present and pay attention to what is happening in the moment. I think we often forget that Chanoyu is a human interaction and not a structural or technical endeavor. Conversation flows naturally, I make mistakes in temae, things happen out of order. Sometimes magical things happen that could never be planned for. Sensei once told me that a chaji is an encounter where you set the stage for a meeting of host and guest to have a deep communication and understanding as human beings. I once went to an early morning “silent” chakai where the host had requested no talking. It was on a weekday, and the host served soup and noodles, a sweet and then tea. Because there was no talking, guests had to pay much more attention to what was going on. Body language, gestures and even just a look or eye contact became much more significant. Everyone was participating and working together to make it a success. By the end of it, I was nearly in tears. It was a very moving experience. The chakai took about an hour and a half, and we were finished so everyone could leave in time for work. 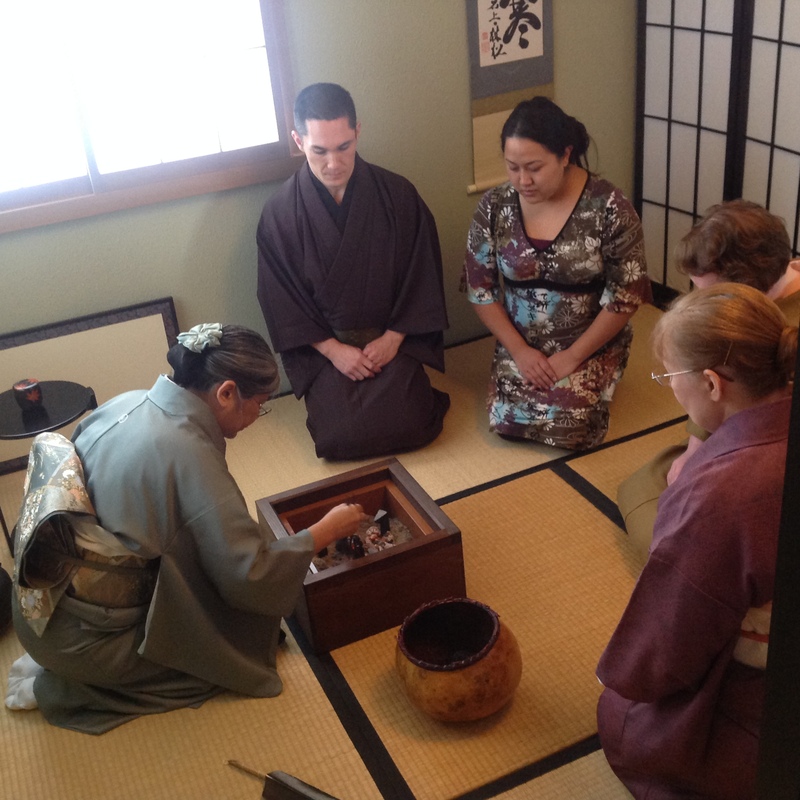 When participating in a chaji, guests need to work hard to help the host. Wanting to be entertained, being critical of the host, wandering attention or trying to control the flow, are things that kill the mood of the chaji. In large events, sometimes you can even feel the energy of the guests as they try to help a nervous host calm down and do a good job. Then there are those special moments where the host and guests become one. Time seems to stand still. Heart to heart communication is going on without even gestures or eye contact. The whole world slips away and the universe is aligned for this very special moment. It cannot be planned for, or forced, but takes place naturally as both host and guest become completely open and merge. It doesn’t happen very often, but to experience the beauty and connection, not just with the people, but all of the universe is profound and has been life changing for me. I want everyone to be able to experience this and that is one of the reasons I want to share Chado with as many people as I can.